Remarkably kept one-owner home under $100,000! 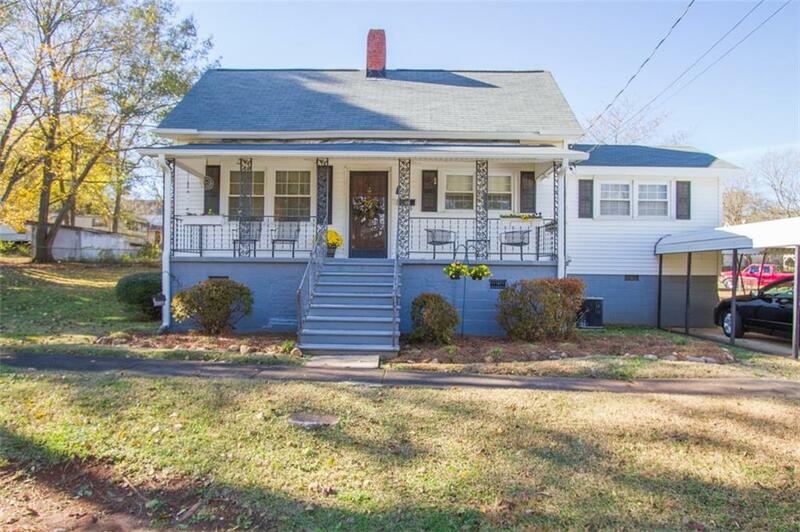 This adorable property charms with a spacious covered front porch that spans the front of the home. Inside, you'll find a living room with beautiful detailing & charm, a oversized kitchen with tons of cabinet & counter space, eat-in dining area perfect for entertaining, & huge main bathroom/laundry space. The two bedrooms are roomy & have great closet space. The back deck is covered & leads to a spacious back yard with outbuilding for all of your storage needs.